Ten-man Exeter fought back to claim a point in their 1-1 draw with Millwall on Tuesday evening. Ten-man Exeter fought back to claim a point with an equalising goal two minutes from time in their 1-1 draw with Millwall on Tuesday evening. Substitute Adam Stansfield was the Grecians' hero when his cross eluded visiting goalkeeper David Forde and went in off the far post just two minutes from time. 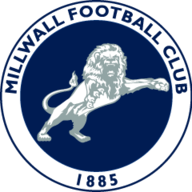 Millwall had opened the scoring against the run of play midway through the first half. Bertie Cozic was penalised for a foul on David Martin and the winger stepped up to hammer the penalty right down the middle. 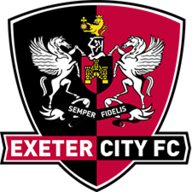 Exeter's cause was not helped when Steve Tully was sent off eight minutes into the second half for a second bookable offence and the Grecians stayed with three at the back. It left them open and Marc Laird should have doubled Millwall's lead, but he slipped as he shot and the ball went wide. Steve Morison then missed two good chances for the visitors, the second of which came back off the post, but Exeter went for broke and got their reward when Stansfield's cross found the net in the 88th minute.